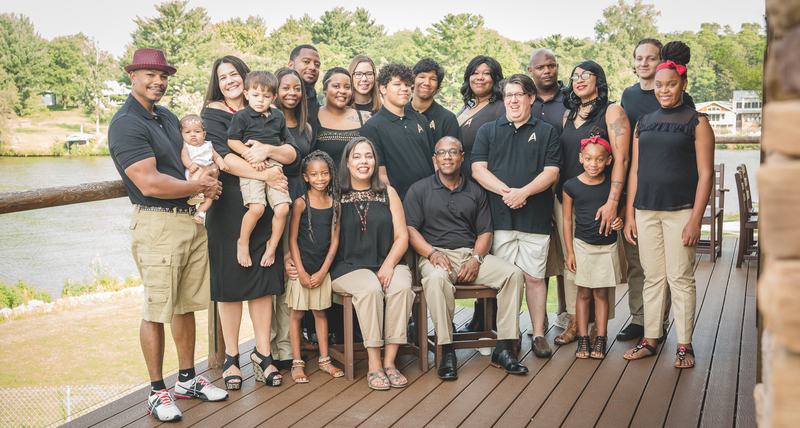 I photograph families of every size – from first-time parents with a new baby, to great-grandparents with dozens of children and grandchildren. Pets are always welcome in family photos too! I never charge extra fees for large groups; one session fee covers all the subjects (human or furry) in your group! • Standard Session – 35 digital images + about an hour of shooting time. This session is usually for groups of 8 or fewer subjects. Standard Package – $650 – 35 high-resolution digital images + print release, three 8×10 professional prints, one set of 5×7 prints of each image in your gallery, and a professional 8×8 Personal album. • Extended Session – 60 digital images + one to two hours of shooting time. 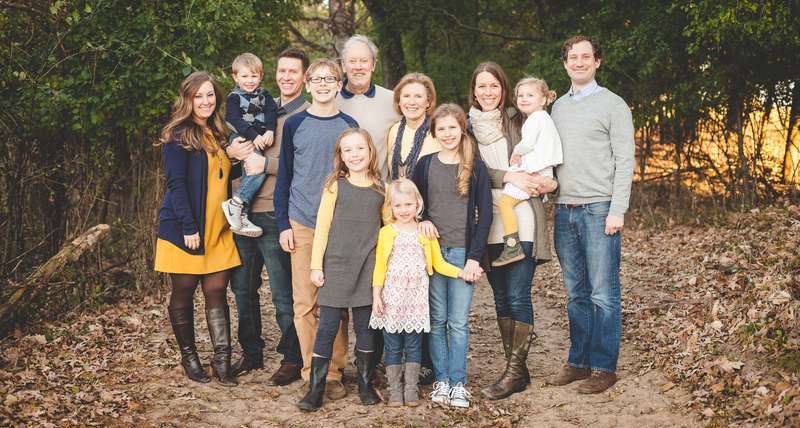 This session is typically for groups of 9 or more subjects. More time and more images means that large groups will receive greater variety of images and more groupings of subjects. Delivering your images – Two weeks after your session, I will send you a link to a password-protected online gallery of your session images. You will be able see your photos while you’re waiting for your USB to arrive. You can also share the link with family and friends, where you all may view the images and order prints and products from your online gallery. A great option that I offer for large families is to order extra USB copies, so everyone can have their own set of the session images. Your USB flash drive of digital images (and additional products, if you’ve ordered those) will be delivered to your home – by me, if you’re local; by your mailman if you live out-of-town. 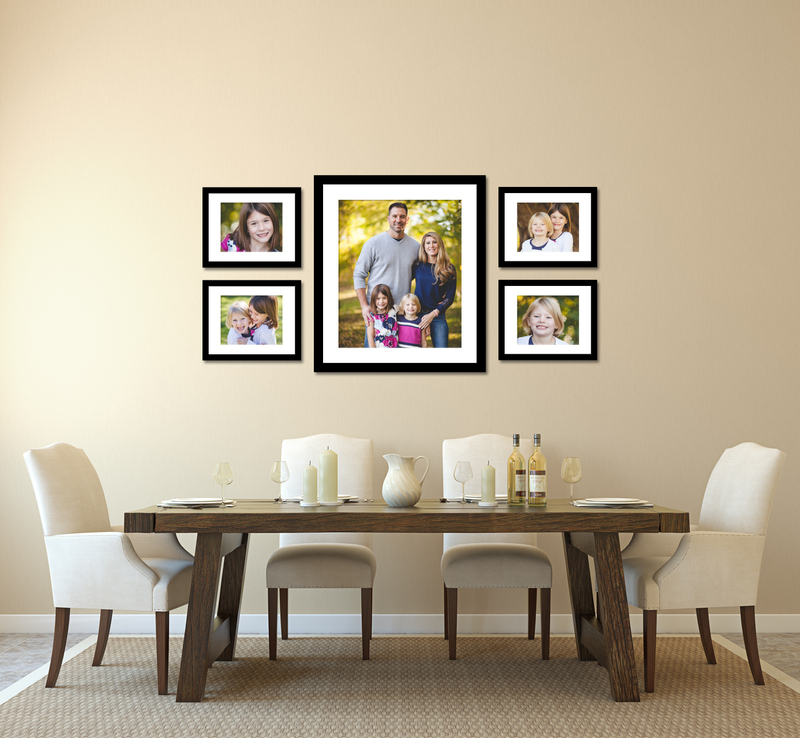 Purchasing prints and products – I encourage all my clients to print and display their beautiful session images. The best and easiest way to do that is to order them through me. Your images will look their best when printed at a PROFESSIONAL PRINT LAB. Images purchased from me will be archival quality, correctly color-balanced, and have a 100% satisfaction guarantee. My product offerings include what you’d expect (professional prints, canvases, albums) as well as what you might not expect (prints on wood, acrylic blocks, ornaments, and jewelry). I know you can find lots of photo products online and in the photo department of big retailers, but I stand behind the quality of every product I sell. If you don’t like what you’ve ordered, simply return it to me and get 100% of your money back, no questions asked. Seeing (and feeling!) is believing – I have a big selection of samples for you to look through. You’ll have a chance to feel the quality of my products, see the beautiful colors of the images. If you’d like to see my product samples in person, I can bring them to you at your home (if you’re local) or at your session (if you’re from out-of-town). until it’s all that you have left. 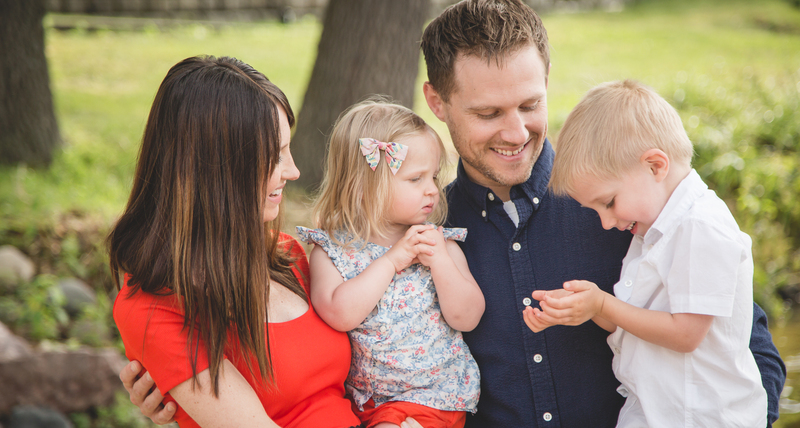 Still have more questions about a family session? Check out this list of frequently asked questions, or just shoot me an email and we can talk some more.